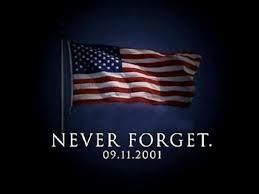 I would be remiss if I didn't take time to remember 9.11.2001. It is a day that forever changed our country and change most of us that sat glued to the TV for days as the story unfolded. Those images are still burned in my mind. So today, in the midst of your daily life, take time out to remember the events that unfolded and pray for those families who lost loved ones that day.